Earlier this year, Fitbit launched a new fitness tracker, the Fitbit Force. However, they were forced to postpone its release due to problems with skin allergies. 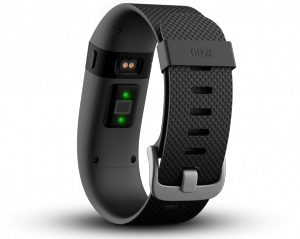 A few months later, it seems that the problem has been completely solved, and the Fitbit Force has now hit the market with the new name of Fitbit Charge. 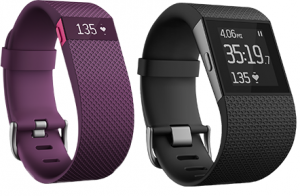 Along with it, Fitbit has introduced two more models with more features and a higher price. Let’s see separately each of these new devices. It is the most basic model. It is designed to be comfortably worn all day, monitoring much of our physical activity. It is able to count steps, display the calories burned, keep track of floors climbed and show an incoming call when someone is calling us, displaying the phone number on the screen. With its small OLED screen, we can view detailed statistics of the last seven days or the average marks of the last month as well as the time and the incoming calls. It connects to our smartphone or PC via Bluetooth 4.0 and includes a battery with 7 days of autonomy. The information regarding our physical activity is shown as graphs and tables, which can be easily interpreted. It also has an automatic function to monitoring our sleep, as well as a silent alarm. In order to stay motivated, we can set challenges and obtain rewards. All our progress can be shared easily and directly in the social networks. The Fitbit Charge has reached the market with the same price as the original Force, $129.99. It is available in gray and black, and the company has announced that soon there will be also a model in blue and burgundy. The Fitbit Charge HR offers all the features of the previous model but adds a heart rate monitor. It is not for sale yet, but you can log-in if you want to be notified when it is reach the market. The price is $149.99 and there are four colors available: black, blue, purple and orange. The Fitbit Surge is the most complete model. In addition to heart rate monitor, it also incorporates GPS, accelerometer, gyroscope, compass and ambient light sensor. It also has a larger touch screen capable of showing text messages and information about the music that we’re listening. Through this screen, we can control the playlist of the smartphone, pausing or changing the song from the Surge. For this model, the price increases up to $249.99, and when available, we will be ablet to choose between black, blue and orange. More information on Fitbit Charge, Charge HD and Surge.